One of the first things that novice forex traders need to learn is how to use the various forex broker order types and the implications of each. The exact number of order types available to you will often depend on the forex broker you plan on using. But in general, there are about ten different types of forex orders that are most commonly used. Entering the wrong type of order — or failing to enter an order altogether — could easily result in a significant loss when trading currencies. Some orders are intended to help a trader take losses or profits, others to protect profits, and still others are used to implement a more complex trading strategy that is often technical in nature. Learning how to utilize the different order types appropriately and establishing the discipline to use the proper order type based on the market environment, is part of a well-rounded trading education that all traders should commit to. The following sections will outline the mechanics and usage of ten of the more commonly used types of forex orders. 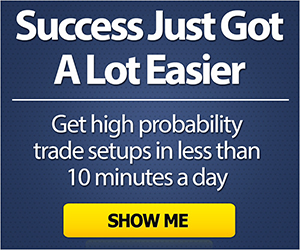 Traders should understand how to enter each of these orders correctly using their trading platform. Furthermore, each order type has some specific characteristics that a trader should become familiar with and be able to discern the most appropriate use for them in their trading process. A market order is perhaps the simplest and most common type of order for a forex trader to enter, and they are typically executed immediately by a broker or dealer unless entered in very large size or in fast moving markets. As the name implies, market orders involve buying or selling a currency pair at the prevailing market determined exchange rate. Market orders can be used by a trader to establish a position by going long or short. They can also be used to close out a position by buying or selling it back. One of the major advantages of market orders is that they are almost always executed as long as an execution rate can be obtained by the broker or market maker. The downside of using market orders is that you might get an unexpectedly unfavorable rate if the market is moving quickly against the transaction you wish to execute or if the market cannot adequately absorb the amount you need to deal at the quoted price. Whenever a forex trader wishes to specify the worst exchange rate at which an order is to be executed for them, that type of order is known as a limit order. Limit orders can be used to stop out losses on positions as well as to take profits. The name of this order type arises due to the fact that the trader has requested that transactions entered into on his behalf be limited to those executed at the specified exchange rate or better, in theory at least. In practice, however, limit orders are typically executed at the rate specified, although a better order execution rate might be offered by a broker or market maker to help impress an especially good client. Some traders like to use a particular type of limit order called a Fill or Kill or FOK order that can take two forms. The first type of FOK order instructs a broker to either fill the order completely at the specific price right away or cancel the order. The second type of FOK order instructs a broker to fill whatever they can of the order immediately at the stated price and then cancel the rest. This latter Fill or Kill limit order type is most often used when trading large amounts of currency. A Take Profit order is one of the most common limit order types and, as the name indicates, it is typically used by a currency trader wishing to liquidate an existing forex position at a profit, although technically the level specified in a Take Profit order just has to be better than the prevailing market rate. If the trader’s initial position is a short position, their Take Profit order would involve buying back that short position at a rate lower than the prevailing market. Conversely, if they were holding a long position subject to a Take Profit order, then it would be liquidated if the market traded upwards to touch the specified order level. Traders can sometimes specify that their Take Profit orders be of the “All or Nothing” or AON type, which means that the order should either get filled completely, or not at all. AON orders are used to prevent partial order fills that can be deemed undesirable. Alternatively, traders might be able to elect to take a partial fill of a lesser amount than the entire Take Profit order amount. This might be useful if the broker or dealer attempting to fill the order can only execute a portion of the order at the exchange rate specified in the order. A Stop Loss order is another very common order type typically used to liquidate an existing forex position. Such orders are usually executed as a market order once the stop loss level is triggered by the currency price trading at that level. Basically, when the market has gone against the existing position to the point that the exchange rate has reached the specified stop loss level, the Stop Loss order is executed and usually causes the trader to incur a loss. Nevertheless, the Stop Loss order limits the trader’s further losses if the exchange rate continues in the same unfavorable direction. 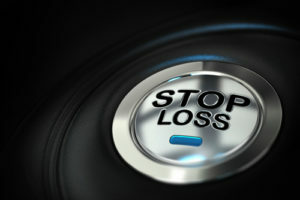 This makes entering Stop Loss orders an important part of many traders’ risk management strategies. A Stop Limit Order has the qualities of both a limit order and a stop order. Basically, when the exchange rate level of the stop is attained, the order then becomes a limit order and is to be executed at the specified exchange rate limit or better. This type of order can be useful to avoid severe slippage on stop loss orders in fast markets, since stop losses are typically executed at the next available market price. Nevertheless, the risk with this type of order is that the market moves quickly though the stop level and never recovers enough for the order to be executed at the specified exchange rate limit or better. Once an established forex position begins to appreciate in value as the market moves in favor of the trade, profits start to accumulate that traders typically wish to protect. In this situation, traders often use Trailing Stop orders that trail— or ratchet up notches in the case of long positions or down notches in the case of short positions — as profits accrue on the position. Trailing stops are often initially placed in such a way as to lock in a profit but at the same time allow profits to continue to run. If the profits on the position increase, the trailing stop is then repositioned closer to the market to ensure that more profits are retained in case of a pullback or reversal. 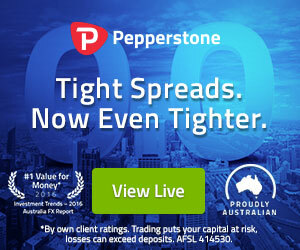 Trailing Stop orders are not called stop loss orders since profits are being taken. Nevertheless, since Trailing Stops are generally set at levels that are less favorable than the current market, they are still considered stop orders. A Good Til Cancelled order means that the order will be kept in the market and subject to being executed until the trader placing the GTC order cancels it. Most limit orders placed in the spot forex market are generally understood to be Good Til Cancelled or GTC orders, so this designation is rarely used in practice among most forex traders. Nevertheless, traders dealing in financial instruments that trade on a centralized exchange, such as currency futures, might need to specify that an order they enter is Good Til Cancelled. This is because the order might otherwise be a Day order that becomes void if it remains unexecuted at the end of the current trading session. A Good for the Day Order, also simply known as a Day Order, is not as frequently used in the forex market since currencies trade around the clock from Sunday afternoon until Friday afternoon New York time. Day Orders are more commonly used in centralized markets, like the stock markets, where each trading day ends at a particular time and then resumes on the following trading day. Also, a Good for the Day order might be used by currency traders operating on the International Monetary Market futures exchange in Chicago and its electronic platforms that both have a fixed trading day. Nevertheless, some forex traders operating in the over the counter market or via online forex brokers might wish to specify a cancellation time for an order to open a new position that corresponds to the end of their working day. This might be especially preferable if they are day traders and therefore do not wish to hold a position overnight. A One Cancels the Other order typically means that a trader is entering two orders at the same time and the execution of one order would require the cancellation of the other. An example of this situation could be if a trader gets into a position and then enters both a take profit and a protective stop loss order at the same time. For example, most traders would wish to prevent the situation where the existing position might be closed out at the take profit level but then a new position might be initiated if the market then retraces to trade at the stop loss level before the order is cancelled. In this case, the trader might specify that either of the two orders should be canceled if the other order is executed by entering a One Cancels the Other or OCO order when they place their stop loss and take profit orders. A One Triggers the Other Order would typically be used if a trader wishes to enter an order once another order gets executed. For example, a trader might place a limit order into the market because they want to enter into a position at a specific exchange rate level. If that limit order subsequently gets executed or triggered, the trader may then wish to put in a protective stop loss order. They might also possibly want to enter a take profit order to close out the position if it moves in a favorable direction once entered. When faced with such a scenario, a trader could enter their initial limit order to potentially open the desired position if it gets executed with their broker specifying that it is a One Triggers the Other order. If that order is triggered, they then want to enter a stop loss order and a take profit order into the market. Using the One Triggers the Other Order type allows them to specify to their broker that these latter two orders are not to be placed into the market unless the initial limit order is executed. If that initial limit order is executed, then that will trigger the entry of the desired stop loss and take profit orders into the market. The difference between the market or stop loss order execution price and the level at which the market was quoted for a market order or the level that a stop loss order was placed at is often referred to as slippage. Slippage on orders tends to be greatest when the forex market is moving quickly and liquidity is reduced below normal, which are often conditions seen immediately after the release of major economic numbers, monetary policy announcements or other important news stories that might affect the financial markets. Many retail traders will test an online forex broker for slippage on orders executed in fast markets as a measure of the quality of their order execution service. Knowing this, some of the better online brokers even guarantee order levels for their clients, thereby effectively reducing their order slippage to zero. Furthermore, traders using back testing methods to determine and compare the potential profitability of several trading strategies should always plan on taking into account the possibility of slippage if they intend to use market or stop loss orders to enter and exit positions. To avoid getting poor execution rates on market orders due to slippage, a cautious trader operating in fast market conditions might sometimes choose to use a limit order instead of a market order. This might subject them to the risk of failure on filling the order, so they might place the limit on their order at a rate worse than the quoted market rate to be fairly certain of execution. Doing so allows them to specify a rate below which they do not wish to sell or a rate above which they do not wish to buy and thereby control their slippage to some degree. Limit Order are often used by professional traders and institutions when they have a large transaction with a budgeted exchange rate in mind or when they wish to avoid getting poor execution levels on market orders when the exchange rate is moving quickly. Now that we have discussed the most common forex order types, it seems appropriate to discuss how to simultaneously enter a market order, a stop loss order and a take profit order into a dealing platform in practice. In this example, we will use the popular MetaTrader 4 electronic dealing platform which remains the standard for currency traders operating via online forex brokers. The top image shown below in Figure 1 depicts a popup trading screen within MetaTrader 4 of a potential transaction to buy the EURUSD currency pair in a trading size of one lot. The current market quote shows up in the image as 1.10825 bid and 1.10839 offered. Furthermore, the trader has indicated per their trading plan to enter a stop loss order level at the 1.09990 level and a take profit order level at 1.12850. Note the warning drawing attention to the fact that the actual execution price might differ significantly from the quoted price. Once the trader hits the blue Buy button shown in the first image, the pop up box then switches to display the bottom image shown in Figure 1 with a confirmation of order execution details. This image first shows the order number #98804552, followed by the direction (buy), the transaction size (1 lot), the currency pair (EURUSD), the deal execution rate (1.10839) and a confirmation that the market order was successfully executed. In addition, the screen confirms that a stop loss order has been entered into the market for this new position at the 1.0999 level and a take profit order has been entered at the 1.0839 level. Figure 1: This set of two images shows the market order execution pop up box for EUR/USD before (above) and after (below) a deal to buy one lot has been successfully executed.